Our Oak Valley Hardwoods’ western region surrounds the Appalachian Mountains. We are on the western side of greater North Carolina. Our NC facilities include Woodlawn (Marion), Robbinsville, Morganton, Lenoir and Pilot Mountain. In Tennessee we operate a Sawmill in Parrottsville. Contact Oak Valley’s Western Region today for professional assistance and quality lumber! 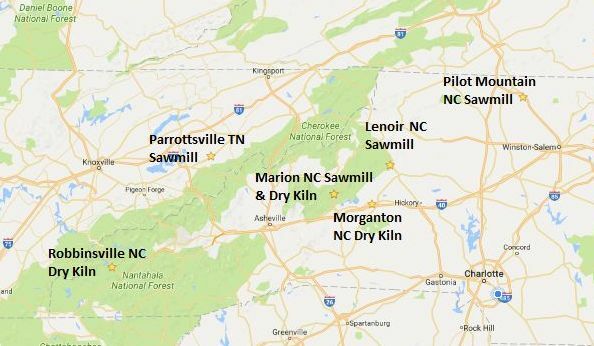 Appalachian Hardwoods; from the mountains to your facility!